If you are looking for a simple gift for easter that isn’t food based then homemade play dough is a good idea. 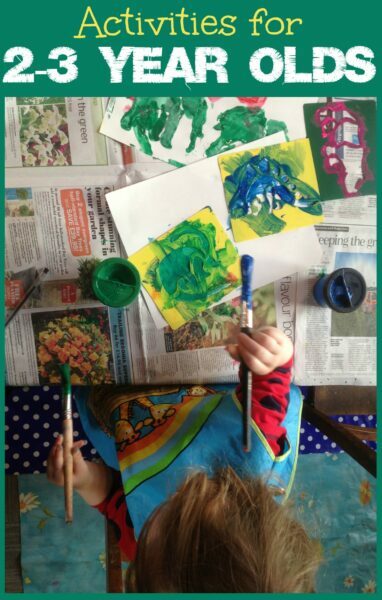 It also gives children something creative to do on easter Sunday and as the weather is not looking good here I don’t think we will be getting outside much. 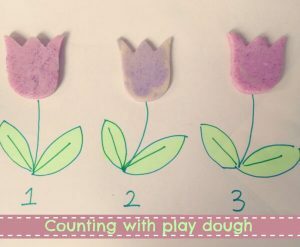 Play dough is really cheap to make with just a few simple ingredients. This cost about the same as an Easter egg but will give hours of fun. We made a large batch of play dough and split it into six colours to match the plastic eggs we have lying around. We added a few drops of food colouring in the following colours: pink, green, yellow, orange, blue, purple. 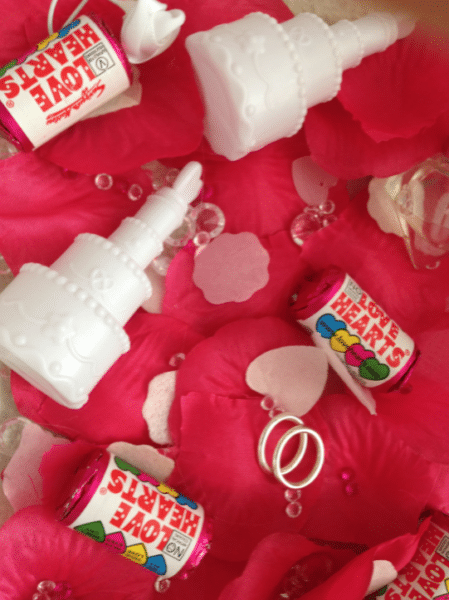 We also added lots of glitter to give it a pretty shimmer. You could also colour the play dough with kool aid or jelly as that produces lovely pastel colours too. Then I put the play dough in the plastic eggs as a surprise for the girls and put them inside an egg box. 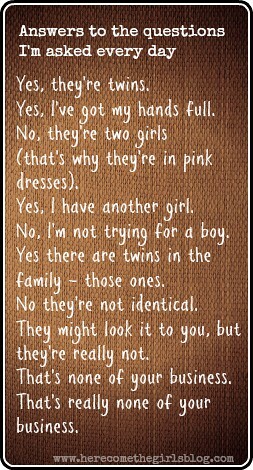 The twins really loved finding the play dough and matching the colours to the right eggs. 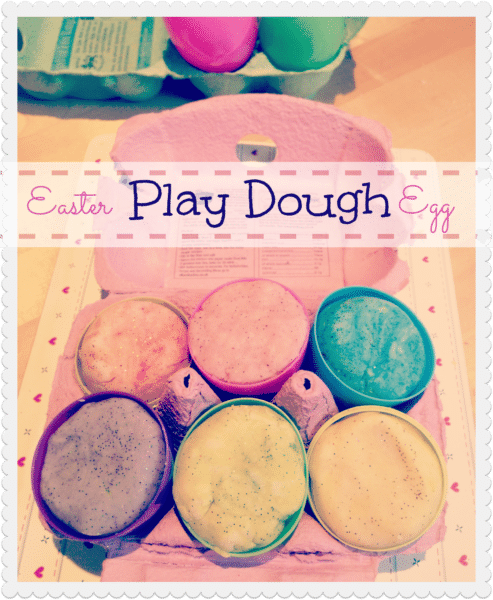 The plastic eggs make a great mould and it is lots of fun to make play dough eggs. They also liked adding extra things to the eggs to decorate them, such as pom poms and sequins.